This book is about the phenomenon of violence, as Emily Hazlewood reports. Examining seven south Asian societies over eight years of fieldwork, this book demonstrates how micro-events such as localised riots, land grabbing, pervasive militarisation and attempts to assassinate political leaders are linked to large-scale macro-events of global politics. It argues that, in order to prevent future conflicts, there is a need to understand the relationships between history, structures and agency; interest, values and politics; and global and local factors and alliances. This book can be read as an attempt to specify a theory of why the imperative at most moments is to heal, reconcile and prevent. At the same time, it is an attempt to specify the nature of the exceptional circumstances where it is right for us to use violence despite the risk that killing cascades to more killing. The authors argue that the first step towards that understanding is to abandon the static ways of thinking about deterrence that are the cause of much of the wanton, wasted suffering that afflicts the world. 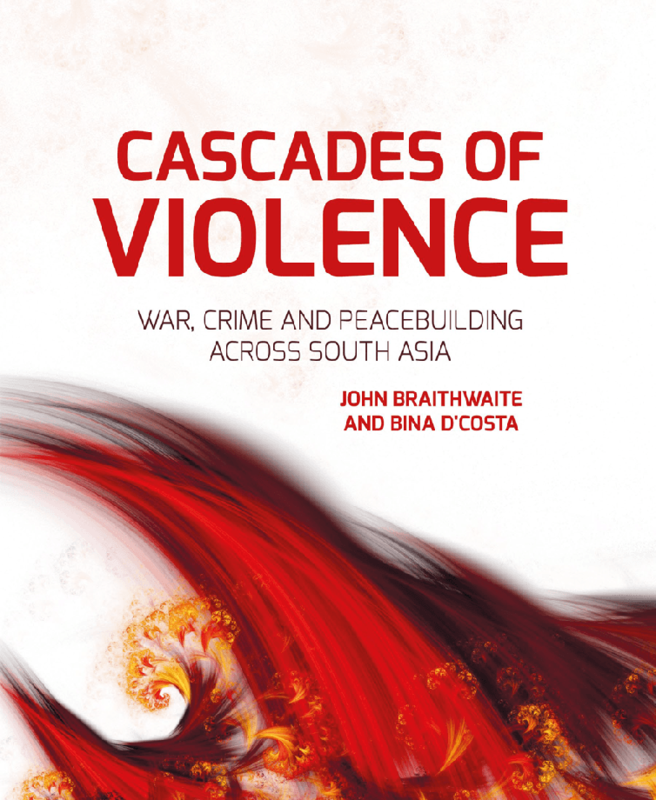 Cascades of Violence: War, Crime and Peacebuilding Across South Asia is written by two accomplished authors, both innovative and prolific in this field: John Braithwaite, Distinguished Professor and Founder of the Regulatory Institutions Network at The Australian National University, and Bina D’Costa, Associate Professor at the Department of International Relations, Coral Bell School of Asia Pacific Affairs and Migration Specialist for UNICEF.